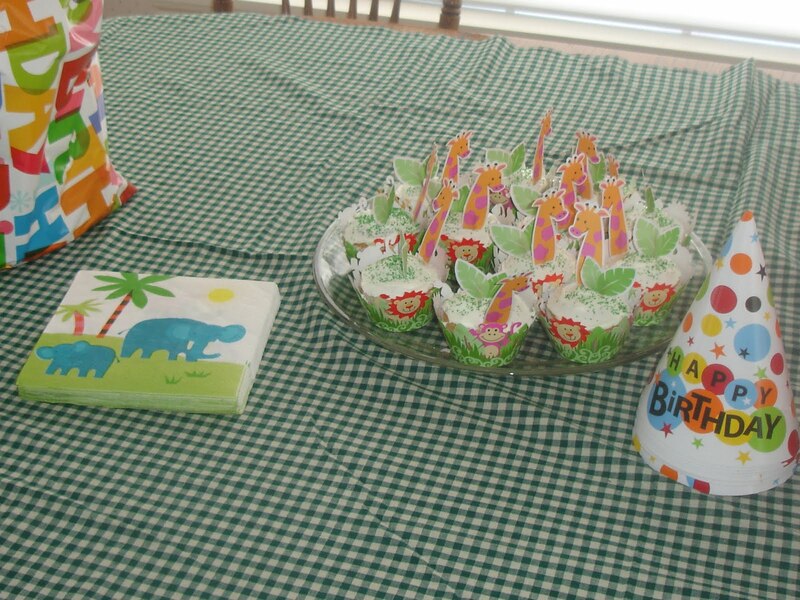 For my son's first birthday, I went with a jungle animal theme. It was so hard to pick! He was the perfect birthday boy. He kept his birthday hat on and smiled at all the right times! 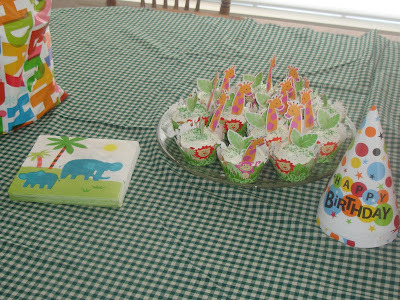 I found these Wilton cupcake wrappers and these Noah's Ark napkins at a party store, but you can also find them online. Yummy cupcake! Another one please! Having fun with the birthday balloons. I found the tiger stripe balloons on ebay.